In my last recovery update post I talked about how things were looking up and I was starting to get better. Unfortunately things don't seem to have gotten much better during the last month. I'm still having problems with my right thigh, getting a burning pain whenever I stand, sit and walk and also my thigh can go a little numb sometimes. I've also had a weird sensation around my ankle, all of these added up means that I haven't been able to go back to Sixth Form. I went in for one lesson but really struggled and I haven't been in since. Today I went for my 3 month post op appointment and after telling them about the problems I've been having they've decided it would be best for me to have a MRI scan, hopefully within the next month. They said what could be causing the pain, anything from the metalwork not being in the right place to swelling putting pressure on nerves, but they we won't know exactly what it is until I've had my MRI scan. I have to say I am pretty worried about the prospect that I might have to have another operation. Sixth Form wise we aren't really sure what is going to happen at the moment because I've missed so much work, we are looking at the possibility of not doing the exams this year, focusing on my health and just starting my education again in September. I hate having to put a disclaimer in posts like these but I feel I have to, I'm obviously not doing these posts for sympathy and I never have done. 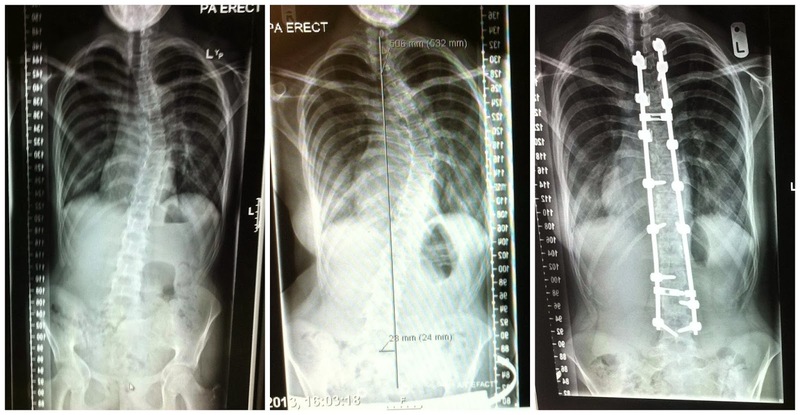 I do these posts and will continue to in the hope that my story can help others with Scoliosis who are facing surgery or other treatments and writing about things like this help me. It's very interesting to see the stages in your journey, sorry to hear things aren't 100%, I hope they sort it out for you and things get back to normal ASAP!